Thank you for sharing the positive experience you had at Palmetto57 Nissan. To make referring and earning as easy as possible, we’re offering the Friends and Family Referral Program to our dedicated customers. It’s simple – Refer a friend and receive a $500 gift card when they purchase their vehicle. How do I claim the gift card? Fill out your friend or family’s information to claim your gift card. The referred customer must purchase their vehicle within 30 days of the referral date. Please allow two weeks time to receive the gift card from when the car was purchased. 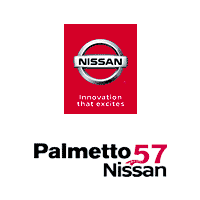 For questions about the referral program, contact our team of automotive experts at Palmetto57 Nissan.